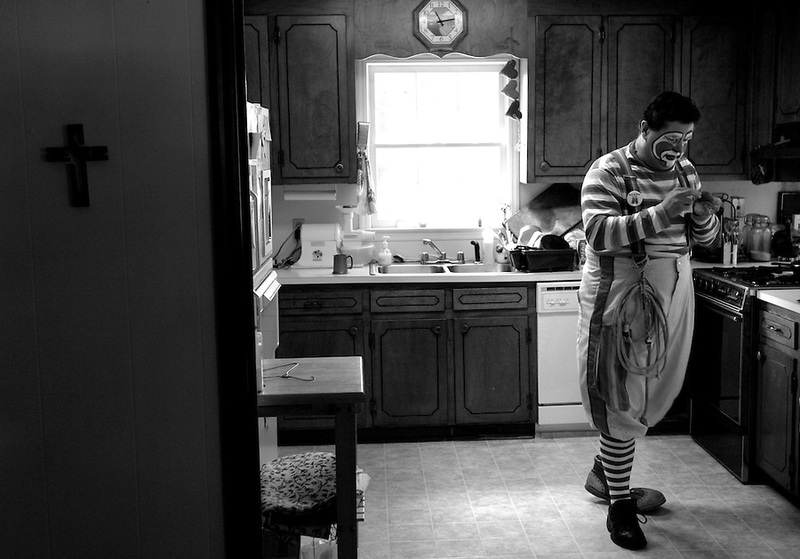 Kevin Ross, aka Irvin D. Clown, prepares his costume at home for a Christian ministry tour in Durham. Clowning around in the name of Christ has been his full-time job for the past 10 years. 'God is a joyful God. He wants us to have fun," said Ross.